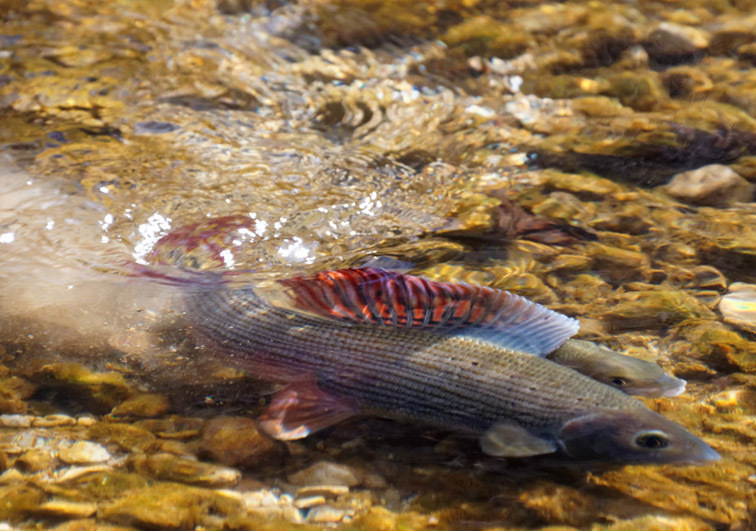 My friend, fish biologist Clemens Ratzhan (Austria) has photographed some intimate moments — the spawning of the European grayling in a small piedmont stream of the Danube River drainage. 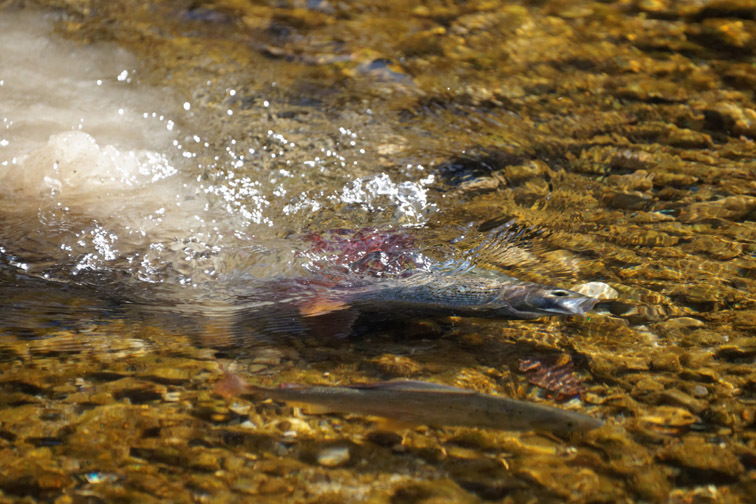 In contrast to the Salmonids the graylings do not make a true redd in the pebbles. A couple stays in the light current beside each other, the male covers the female with its huge dorsal fin and cuddles her to himself. 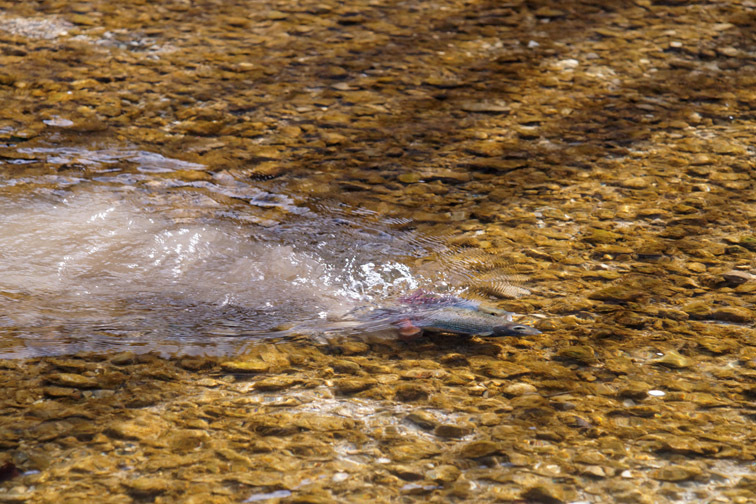 The fish beat with their tails in the united rhythm, shoveling sand and pebbles, and release the eggs and sperm simultaneously. The settling sand is partly covering the laid eggs.